For decades in the U.S., there have been competing theories of how best to raise children, from the early 1900s belief that mothers should not be clingy to parents' embrace of Dr. Spock. 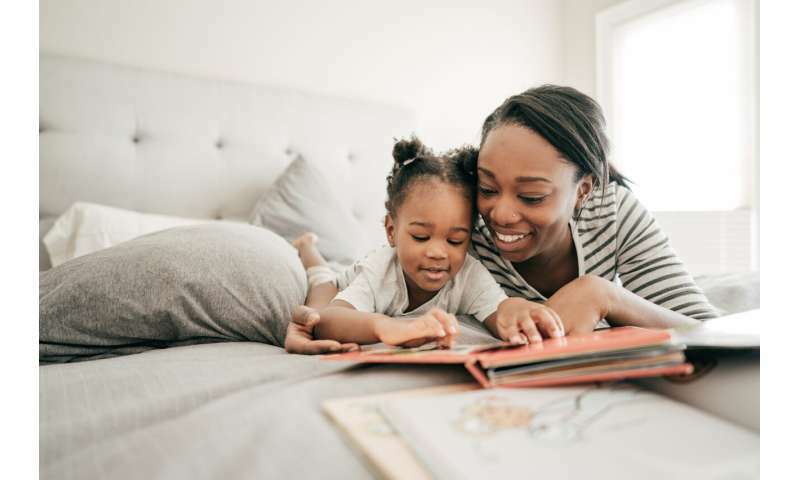 Parents want to optimize their "nests," knowing physical elements like shelter and psychological elements like emotional support affect child development. Components of EDN include breastfeeding for two to five years, nearly constant touch, responsiveness to a baby's needs, multiple responsive adult caregivers, free play with multiple-aged playmates and positive social support for mom and baby. EDN can also entail soothing perinatal experience (before, during and after birth) and a positive, welcoming social climate. "All these are characteristic of the type of environment in which the human genus lived for 99 percent of its existence," Narvaez noted. A paper published by Narvaez and her colleagues at the Notre Dame Family Life Project in Sage Open highlights how taking a snapshot of a young child's experience over a week, as reported by a parent, is predictive of child outcomes. The measure—the EDN—was tested in three countries: the U.S., Switzerland and China. Parents of 3-to-5-year-old children indicated how much self-directed play, family togetherness, affection and (lack of) corporal punishment the child received in a week. They also completed validated measures of child social and moral development and mental health. "Today, U.S. culture does not provide much of the evolved nest, and so we should not be surprised that we have a lot of ill health, self-centeredness and oppositionalism," Narvaez said. "A person's neurobiology and social capacities are founded in early months and years of life. We have to remember that babies are like fetuses until 18 months of age and so need an external womb experience to grow properly. It's important to optimize human potential and capacities so that humanity can solve the crises we face. The poor development of human capacities has contributed to those crises. We forgot what we are capable of in a positive sense." Three sets of outcomes were examined in the recent study: child socialization (e.g., self-control, empathy), child maladaptation (e.g., distrust, misbehavior) and social thriving (e.g., joy in interpersonal relations). Other factors such as parental age, income, education and responsiveness were controlled while examining whether the snapshot report influenced children's outcomes beyond the other factors. In all three countries, social thriving was predicted by the evolved nest snapshot. In the U.S. all sets of outcomes were significantly predicted by how much self-directed play, family activities, affection and lack of punishment the child was reported to experience in the past week. "Our work emphasizes the optimization of development—what helps people flourish and thrive, not just survive," Narvaez said. "Child well-being is often discussed by others as a minimal set of provisions like nutrition or an absence of trauma. Those foci are just not enough and they reflect the downward shift of baselines for acceptable child raising, child health, adult health and cultural practices."